Last Friday’s rain washed out Pete Donnelly’s schedule performance, but he’s been rescheduled for July 12. Special kids concert start time: 6 p.m.! Featuring Bella Vista’s own Lou Fuiano! 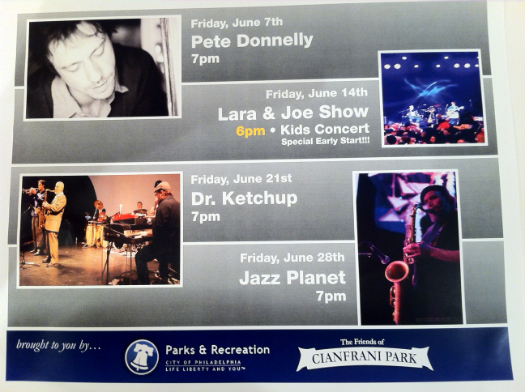 Thanks again to the Friends of Cianfrani Park for organizing this great summer concert series. Next Next post: Concert Schedule Change!